Thanks to a 30-year-old California law which imposes a so-called “developer’s tax” on new construction in the state — money that’s earmarked to pay for school construction and facility upgrades and maintenance — Burbank’s schools will reap additional funds from the city’s development boom. But will it be enough to offset the impact of all those new students that will result from the new development? An April 2016 analysis prepared for the school district suggests maybe not. “The School Fee Justification Study,” prepared for the district by the consulting firm Koppel & Gruber Public Finance, examined what impact an increase in new residential housing might have on the city’s schools, which serve more than 15,000 students in grades K-12. It determined that each additional square foot of construction would cost Burbank schools $4.10. However, developers of residential housing in Burbank will only have to pay $3.48 per square foot — the maximum set by the state. As a result, Burbank schools could be left with a shortfall of $.62 for each square foot of new residential construction. And the district could be left high and dry when it comes to commercial development too, according to the study. State law caps the tax on new commercial construction at $.56 per square foot. With the exception of hotels, the bulk of the commercial construction projects proposed for Burbank also fell short of covering projected costs, sometimes by more than 150 percent, according to the school fee study, which set the impact construction of a standard commercial office space at $2.07 per square foot, a large high-rise commercial office space at $1.97 a square foot, and shopping center at $.85 a square foot. The school district says it plans to use the money it collects on new development to cover roughly $124 million in facilities costs over the next decade, including an almost $40 million-dollar renovation project which would “include modernization of existing classrooms and the replacement of portable classrooms with permanent classrooms,” the report said. 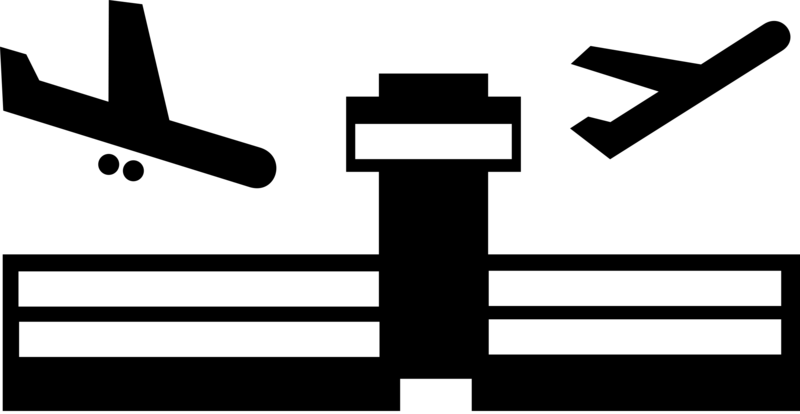 A rudimentary review of five projects currently in development in Burbank — Burbank Town Center/I Heart Burbank, Premiere on First, 115 N. Screenland, First Street Village, and The Avion (airport adjacent property) — indicates that the discrepancy between how much tax the schools can force developers to pay and how much the district says it needs to blunt the impact of new construction could rob Burbank of almost $2.3 million dollars. We obtained estimates of the potential square footage and use of each project from City of Burbank Planning Board’s website. For residential units, unless a more accurate figure was provided in the developer’s plan, we used 1,173 square feet as the weighted average square footage of the proposed units (an estimate based on information obtained from LA County, according to the district study). We determined the cost impact of each project on school facilities using the BUSD report’s numbers ($4.10), and then compared this to the total revenues the school fees would generate as a result of the developers tax at a rate of $3.48 per square foot. Because the impact on schools by commercial development varied according to the type of development (shopping centers compared to banks compared to commercial offices, etc.) we relied on the BUSD’s numbers to determine an average commercial cost impact ($1.40 per square foot) and compared it to the maximum school fee assessed on commercial properties ($.56). Since the BUSD report determined the impact from hotels would be $.49 (below the minimum), and the district can not assess more fees than the cost of impact — we determined each square foot of hotel space should be taxed at a rate of $.49 per square foot. We used 300 square feet (slightly less than the average US hotel room size according to USA Today) to determine the overall square footage of hotel projects proposed. Two options have been proposed. 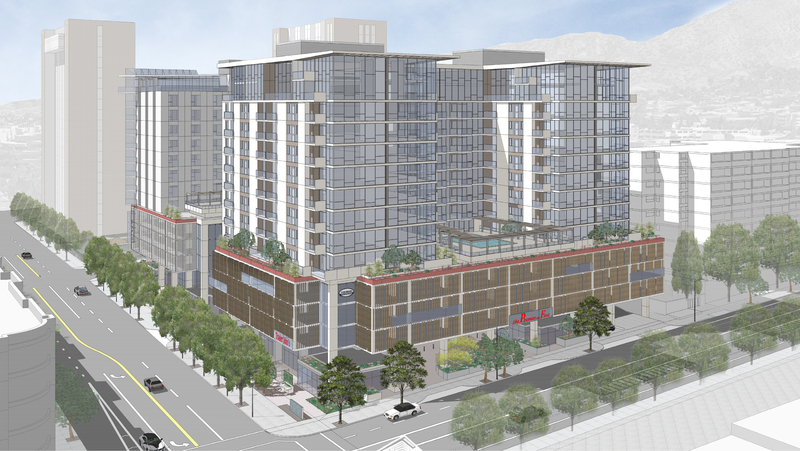 Both would include 154 residential units. One would include 181,517 square feet of commercial space; the other proposes 126,000 square feet in hotel space and 15,589 square feet of commercial space. 40 residential units with an average size of 1,284. 3000 square feet of commercial use. 1,177,489 in commercial construction. 150 room hotel. It’s important to note that the analysis prepared for the district was a cost projection — the actual cost impact on schools could, in fact, turn out to be much less (or much more). 6. Provide an annual accounting of any portion of the fee remaining unspent or held for projects for more than five (5) years after collection. So, in fairness, the report prepared for the district should be read in light of the fact that the school district has an impetus to, perhaps, provide the “worst case scenario” in calculating, the potential impact of the new development on schools. After all, it may only assess the developer’s fee if it can show that its needs are equal to or greater than the amount of revenue it would collect from the tax. But the potential impact of building residences for thousands more families whose children may use the district’s 19 schools should not be discounted either. It is one other important factor residents need to examine as we head to the polls next month. We need a city council that thinks before acting and considers all the ramifications of its decisions. We need a council that puts Burbank families first and won’t greenlight projects that allow outside developers to turn a quick profit and stick Burbank schools with the bill. Are Chinese Investors Driving Burbank’s Mega-Development Boom? Hanhai Plaza. Land purchased for $100 in 2003 by Cusumanos. Sold to Chinese investors for $22 million 11 years later. That’s what Lucy Lu, the chief executive of the Chinese investment group Creative International Investments, said in a press release back in 2014, when her company paid the Cusumanos $22 million for Burbank Civic Plaza — a four-story building for which the Burbank developer had paid the city a mere one hundred dollars 11 years earlier. She was referring to the Chinese company’s plan to use the building as an incubator space for Chinese media companies as that country seeks to raise its entertainment industry profile. 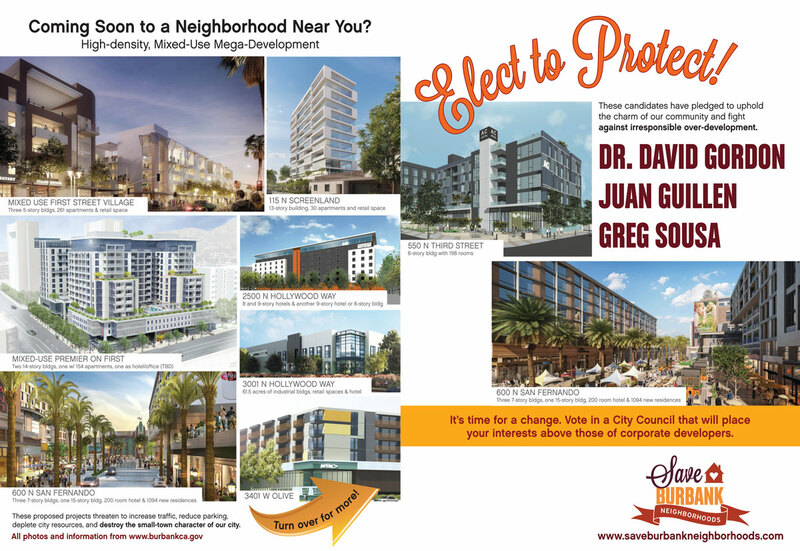 But, looking now at the slate of mega-developments jockeying for a green light from the Burbank City Council, perhaps residents should ask if the Cusumano sale was actually the gateway for something else — namely a wholesale campaign by Burbank developers to cash in on a Chinese real estate buying spree. Experts say that Chinese investment in US real estate — and in Southern California in particular — has gone from a mere trickle to a flood, and indeed, from 2009 to 2014, Chinese investment in Los Angeles County doubled, according to the Los Angeles County Economic Development Corporation. Last year, the country’s investment in foreign commercial and residential property broke new records, with an increase of almost 53% over 2015, according to JLL Global Capital, a leading real estate investment bank. While the Chinese spent their yuan all around the world, the United States was the most popular destination for their cash, drawing in $14.3 billion. West Coast cities — particularly San Francisco and Los Angeles — collected the bulk of those Chinese dollars, continuing a multi-year trend that has transformed the Southern California real estate market, and which experts say will continue, despite recent efforts by the Chinese government to stem the flow of money out of China. Developers in Southern California have not been shy about tapping the Chinese investor market. The website for downtown LA’s megalith “The Metropolis, the biggest multi-use development on the West Coast, for example, is in both English and Mandarin. A listing from Brad Korb, one of Burbank’s top realtors. So, what does all this mean for Burbank? Is there reason to think our local development boom is linked to this larger trend? http://www.juwai.com/28461866.htm 3118 Burbank Blvd (former home to The French Confection Company, the specialty cake store). So the answer is — it sure feels like a trend. By examining certain trends we see in previous efforts to attract Chinese investment, and noting similarities between those projects and what’s being proposed in Burbank, we might be able to better evaluate the developers’ intentions. 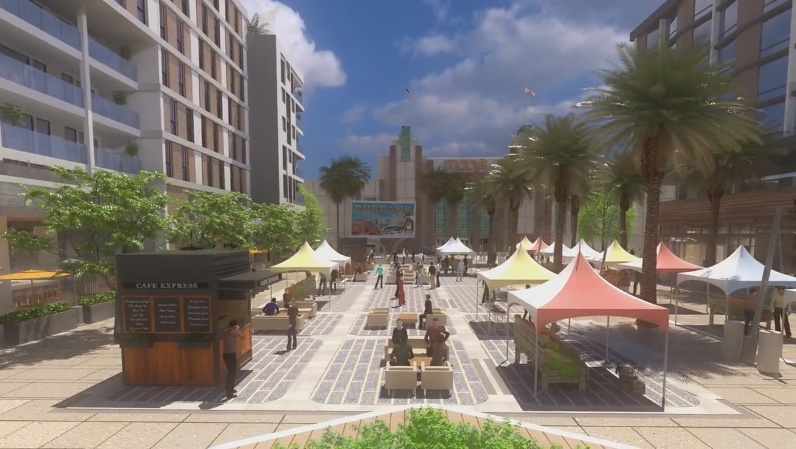 The projects which will go before the Burbank City Council are for mixed-use developments, which combine housing with retail and commercial use. It is a relatively new land use for Burbank (the Talaria being a notable exception), although it is becoming more and more visible in DTLA, where shiny new super-towers dot the Los Angeles skyline with increasing frequency. It is worth noting that this kind of development — high-density, multi-use buildings located in urban centers — is the norm in China. 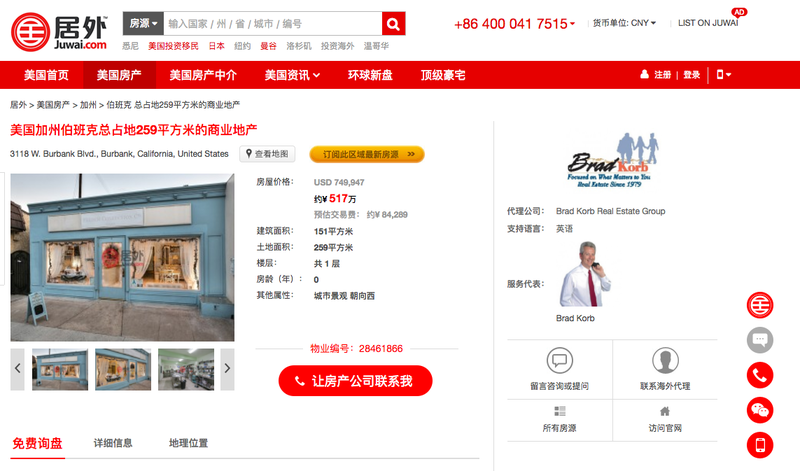 “Compared to the United States or other developed countries, mixed-use development is already common in China, where many neighborhoods feature all the services most people need within walking distance,” reports the China Business Review, a publication of the US-China Business Council. The ability to house a lot of people who will presumably walk to the grocery store, ride their bikes and take public transportation to work, and rarely if ever get in their cars, is the major selling point for this type of development — and indeed, local boosters say it will obviate a need for additional parking and minimize the dwelling’s impact on local traffic patterns. The Cusumano Company’s latest project on First Street. However, a significant difference between the Burbank projects and the Chinese variety is how the heavy hand of the Chinese government influences their city planning process. As Jennivine Kwan, vice-president of international operations at the US Green Building Council told the China Business Review that the Chinese government’s role in urban planning makes it easier to create sustainable communities. “China is one of the few places in the world that actually decides where a city is going to happen. They actually build the city,” Kwan said. This difference is significant, and something Burbank residents might consider as they evaluate promises from our local developers to build green, self-contained communities. While all of these promises of sustainability are of course appealing on their face, the reality is that Burbank lacks the transportation infrastructure necessary to make a car-free lifestyle feasible. Post-war city planners went in a completely different direction with our town. For better or for worse, Burbank was built for car culture and to fulfill a postwar vision of a suburban utopia. Burbank residents would do well to consider that those decisions can’t be undone by simply building a handful of high-rises with low-flush toilets. Don’t we have enough hotels in Burbank? The interest by Chinese investors in the hotel market — and especially in multi-use projects that include hotel and office space — stems from a desire to capitalize on the relative stability of that sector, as well as in increase in Chinese tourism, especially by middle class Chinese, according to research analysts at HVS financial services. They report that according to the National Travel and Tourism Office, 2.19 million Chinese visitors traveled to the U.S. in 2014, a 21% increase over the prior year. These visitors contributed over $2.3 billion in travel spending. Moreover, the analysts continued, U.S. inbound travel from China is expected to continue to grow, and Chinese investors have been focusing on acquiring mid-scale hotels to capture the demand from the country’s middle-class. That the projects awaiting approval in Burbank comply exactly with the needs of this particular investor group may not be a mere coincidence. Who Can Afford to Live in These Apartments? A major concern for cities that have seen a spike in Chinese investment – from Silicon Valley to Arcadia to downtown Los Angeles — is that the influx of foreign funds resets rents to a level that puts apartments out of reach for local residents. Yes, Burbank’s proposed projects would add thousands of rental units to our city’s housing supply, but with rents set at about the Los Angeles average (about $2,000 for a one-bedroom), the projects would do little to address the city’s shortage of affordable housing (the median household income in Burbank is about $66,000 a year). 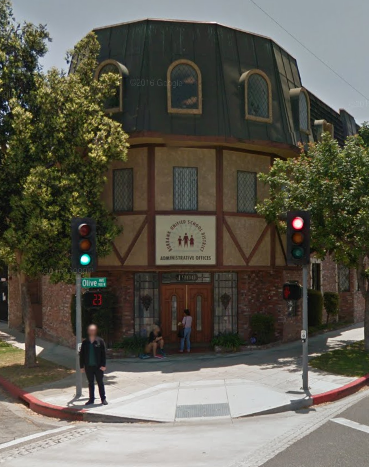 So, why would developers build apartments most people in Burbank can’t afford? While it’s true that for middle class and wealthy Chinese families, buying — not renting — is generally a more attractive option, the reluctance to rent might be overcome by one of our city’s noted strengths: the reputation of our local schools. A review of Burbank single-family home listings on Juwai.com indicates that sellers recognize the value in promoting their proximity to Burbank’s well-regarded schools. “Walk to award-winning Bret Harte Elementary,” says one listing. “Close to John Burroughs High School,” another notes. “Award-winning schools are within walking distance of the front porch,” yet another listing brags. According to The New York Times, “education plays an outsized role” in the real estate decisions of Chinese families, and those middle class families who can’t afford to buy a home in a top school district like Palo Alto, for example (where prices have skyrocketed in recent years) will often rent an apartment to allow their children to attend American high schools and state universities. Some 23,500 Chinese students were enrolled in American high schools in 2013, the last year for which such numbers are available (the number is probably higher now), and according to the Institute on International Education, almost a third of international students at American Universities are Chinese. If, in fact, the ultimate goal of our local developers is to sell these developments to Chinese investors, marketing these apartments to Chinese families makes perfect sense. The planned 12-story apartment building across the street from Burbank High School, for example, seems particularly well-located for families hoping to take advantage of educational opportunities in Burbank. And while Burbank would certainly be enriched by this addition to our culturally diverse community, it’s fair for us to consider the potential impact of a large influx of short-time residents who have an agenda other than making our city their home, and no stake in its future. As our city considers whether to give the go-ahead to a series of major development projects that will inarguably change the landscape of this city forever — whether one believes that change will be for better or for worse — it’s necessary to consider as many potential outcomes as possible. An argument can be made, of course, that in a profit-driven global economy it’s completely unreasonable to expect a developer to consider a community’s wish that ownership of its prime real estate remain in the hands of those with a personal stake in its city. Capitalism dictates that decisions be based on profit margins alone. And, of course, there is the gaping hole in Burbank’s budget that must be addressed. It might be true that development — even development intended to maximize profits at the expense of local ownership — is the price we must pay if we want to fund Burbank’s beautiful parks, libraries, and schools. Maybe the cost of living in beautiful downtown Burbank is selling off beautiful downtown Burbank piece by piece. However, if this is the choice that must be made, residents should approach it with their eyes wide open. If our local developers are indeed operating with an eye on the Chinese market, we need to consider all the possible ramifications. Is the recent trend of Chinese investment a repeat of Japanese investment in U.S. real estate in the early 1990s? (That didn’t end well). Is building developments tailored to Chinese investment a sound financial bet, given the recent slowing of the Chinese economy? What if our local developers have overestimated the zeal of the Chinese investor, and later discover there are no great profits to be made off their building folly? Will they just walk away? And if so, what will become of our downtown? Alternatively, what if our local developers’ bets pay off — are we, as a community, okay with selling off downtown Burbank like so many pieces of Monopoly property? Fundamentally, do we think development in our city should be be aimed at creating spaces where we can live, work and raise our families? Or should building projects be tailored to make them attractive to buyers in the global marketplace, for whom our city is nothing more than another place to turn a profit? We need to have a conversation where we consider the risks and benefits of both scenarios — with regard to our budget, certainly, but also in terms of what kind of future we, collectively, envision for our city. Most importantly, we need to have this conversation now — before our City Council gives these projects the green light — and it’s too late. I’m happy to update the story below with some great news. It looks like the All Amusement Fun Center may be staying in the Burbank Mall after all. The Leader has a recent article on this here and I will keep you up to date when I hear the final outcome of the negotiations! 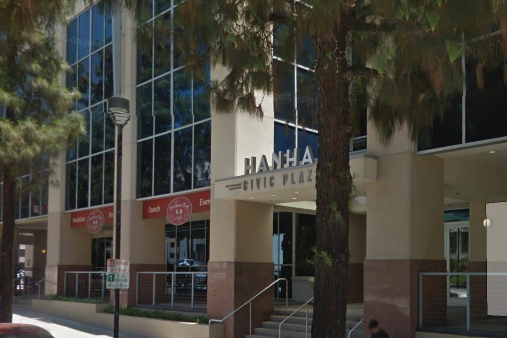 Talks about the arcade leaving the Burbank Town Center popped up this past fall, but Rowton said that he had been stressing about his lease agreement since last June, when CAPREF presented him with a short-term lease agreement that would have quadrupled his rent. Lance Taylor, a director at CAPREF, said that he and the company received numerous calls and emails from residents who pleaded with them to keep the All Amusement Fun Center at the mall. Taylor said that the overwhelming support for Rowton and the arcade was something that could not be ignored. Additionally, he said that he could not ignore the rumors about CAPREF not willing to work with local businesses. “We didn’t want that impression of us out there because that’s not who we are,” Taylor said. We should not allow this in Burbank. We need to stand up for our mom and pops against outside corporate interests who are forcing these folks out of business. Take a listen to Jim Rowton’s story recorded last month at the Burbank Community Summit. There are more small businesses in the mall who are experiencing the same issue. The FAA promises flight paths that will affect noise patterns around the airport will not be changed or they will change very little. NextGen is all about efficiency and safety. It absolutely makes it possible for more flights in and out of the airport but the FAA doesn’t control this, the airlines and the airport do. NextGen flight paths have only been flown in simulators, none of the paths have been flown by air carriers yet. Nothing has changed according to the FAA. When NextGen is rolled out in the spring, there will be a few weeks of reduced flights to ensure the system is working safely. The noise studies used to predict any changes were all conducted using computer models and not real data from airports including Burbank. Could this be the reason the FAA is being sued all over the country for noise increases? What did the computer models miss that people on the ground are so angry about? 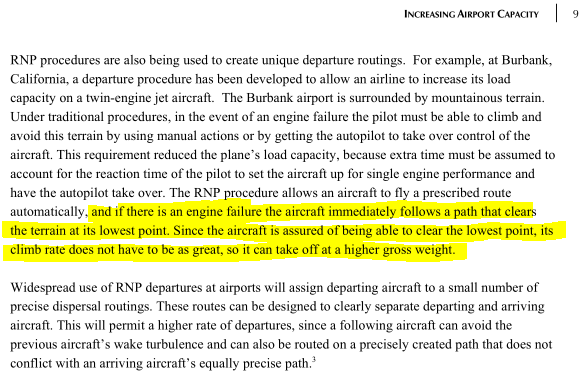 A study was conducted in 2008 with an accompanying report titled “Increasing Airport Capacity Without Increasing Airport Size” that states that NextGen could allow large aircraft to take off to the east in Burbank. (page 9) As I stated above, FAA reps say that is unlikely and “airlines have not asked for it.” Residents should be paying attention for any changes once the old terminal is demolished. If you live under the revised flight paths you may experience a lot more noise as planes will fly in very narrow lines after takeoff. Currently planes are spread out. After NextGen takes effect in the spring the “lanes” will be very precise. FAA reps were adamant that only the airlines and the airport can increase the amount of flights in or out of the airport. I for one believe we will see in an increase as I’ve stated. NextGen was never brought up to the public before I started asking questions. NextGen was designed to increase airport capacity nationwide without constructing new runways. The Measure B vote was RUSHED to the ballot in November. We asked for the vote to be moved to a municipal election so we had more time to ask questions. The City Council was asked numerous questions from concerned citizens not affiliated with myself or SBN about NextGen. They remained silent; adding to the sense that something was rotten about the whole thing. We voters have every right to be concerned with modified flight procedures that have resulted in NextGen lawsuits all over the country. The council never spoke up to assuage those fears. Will Rogers, Emily Gabel-Luddy, Jess Talamantes and Bob Frutos failed us on Measure B. And for a second act, they are protecting their friends from the airport and Chamber of Commerce who misappropriated public money to campaign for a Yes on Measure B vote. Will Rogers, Emily Gabel-Luddy, Jess Talamantes and Bob Frutos failed us on Measure B. And for a second act, they are protecting their friends from the airport and Chamber of Commerce who misappropriated public money to campaign for a Yes on Measure B vote. I want them all voted out. Let’s start by replacing Bob and Jess in the February primary.